Any of these gifts can bring value, hope and love to women—and also to their families. You can help a woman and her family break the cycle of poverty while also giving a tangible expression of Jesus' love for them. Give gifts that help rescue women from poverty and bring Christ's love. Many poor regions of Asia have no source of pure drinking water. Using concrete and sand, these bio water filters remove impurities, providing water for drinking and cooking that is 98 percent pure. For $, help provide pure water in an Asian village—and a chance for them to hear of the living water Jesus offers. For the family of a Bridge of Hope child, a rooster and hen are not pets. They are the source of up to 40 dozen eggs a year! When the pair produces chicks, a flock develops that will provide nourishment and income for years. When a Dalit family receives your present of a goat or a pair of goats it will be a special day! Goats are hardy and can live in almost any climate. And a pair of goats produces at least two kids each year. Their manure is also good fertilizer. Your gift of goats will be a good way to bring a little joy to a poor family's world. Partner with a woman missionary and help share the love of Christ with other women in Asia. They minister in many ways, including sharing their testimonies, sharing with them the love of God and praying for them, ministering to widows, conducting Women's Fellowships and providing literacy training. Approximately 2.4 million deaths could be prevented annually if people had appropriate hygiene practices, including reliable sanitation. Nearly 20 percent of the world's population is forced to go to the bathroom out in the open. 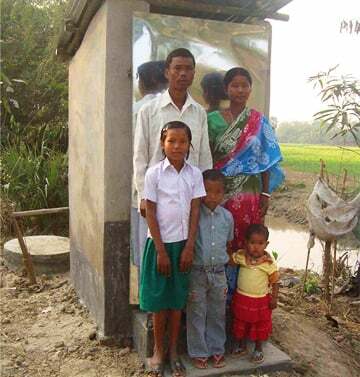 For only $, you will help reduce the risk of common diseases by providing a family with an outdoor toilet. The external structure will vary, however each unit includes a dual-tank system for optimized sanitation. 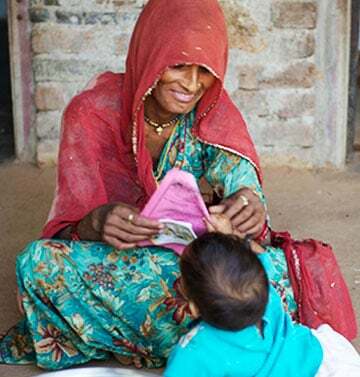 Women across South Asia gather each week for literacy classes where they learn reading, writing and math skills. When a woman completes the course, she's able to read warning labels to protect her children and understand contracts to avoid bonded labor. She won't get cheated at the marketplace because she will finally know how to add. And she can read the Bible for herself and teach it to her children. These women must become better equipped to survive in a society that frequently takes advantage of them. Classrooms are available and willing teachers are ready—all these eager students need is a literacy book and something to write on. Please donate toward these effective teaching tools.